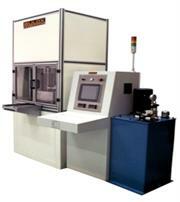 The Compression Spring Test Rig is a simple and reliable test system which an be used for testing most type of compression springs found in the Bogie suspension system. The Damper Test Stand can be designed for automatic testing of either Vertical or Horizontal Dampers or a combination of both in the same test stand. 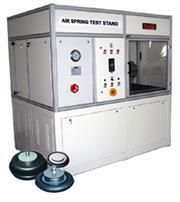 The Air-Spring Test Stand provides a comprehensive test for the Bogie mounted Air Springs. The Automatic and Semi-Automatic Coupler Test Stand is a heavy duty equipment which can provide actual load for the testing of each type of couplers.